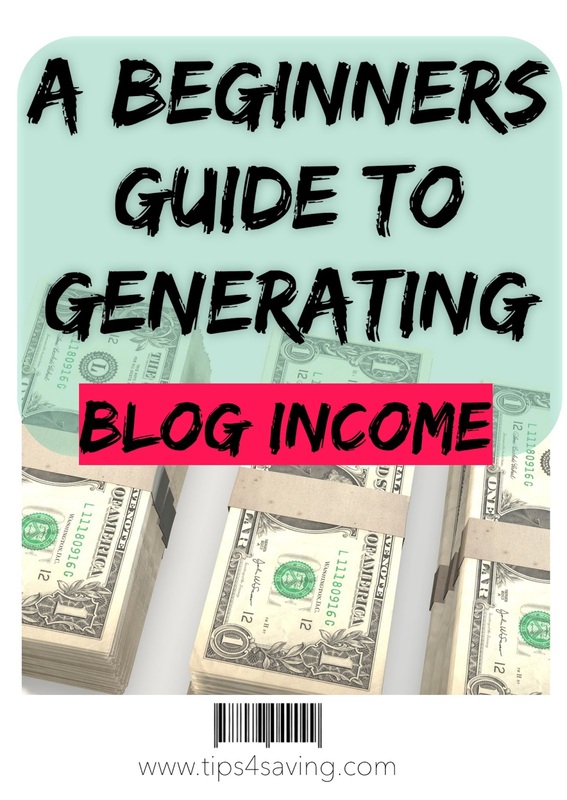 Are you new to blogging and looking to generate income from your blog? I've been blogging for 7 years and here is a list of tips on how I started monetizing my blog in the beginning. My first son was born 7 years ago and at that time I was finishing up my college degree. Since I was in school and not working full-time and new that I needed to start making some money on the side, especially if I wanted to pay off student loans. I had a passion for living frugally, couponing and DIY projects and decided to start my blog to share my awesome tips. I have added some affiliate links to this post... you will see why in my last tip. *If you're just starting out with blogging and still need a blog host you can get an amazing deal using Bluehost. Signing up with Bluehost you will; Get a FREE domain name for a year, FREE site builders, 1-Click Wordpress Install and 24/7 Support… all for just $3.45/Month. You won’t find another deal quite like this. 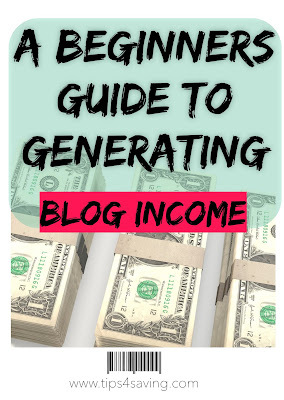 Once you start monetizing your blog, this will easily pay for itself. The absolute first and easiest step I took was to add Adsense ads to my blog. Most people think that as soon as they set up ads on their sites they will start to generate a ton of money. Sorry to let you down, but this is not the case. Adsense ads will trickle in maybe a few cents when you first get started. The key to increasing the amount you earn from ads is to increase your traffic. Once my traffic started to increase and I had a lot of great content up on my blog I joined Blogsvertise. I was able to write sponsored blog posts and got paid to post them to my blog. I also had the option to post pay per action posts to earn a certain amount every time someone clicked on that post. *I not only earned money from using these apps myself but also from referrals from my blog. Ibotta: $60.45 earned simply by taking a picture of my grocery receipt. Use my unique link and get $10 FREE after joining and redeeming your first rebate. MobiSave: $2.50 Just like Ibotta I earn money from snapping a picture of my receipt. The earnings from this app aren’t as high, but what I love is that the money is deposited directly into your PayPal account the same day. Receipt Hog: 709 Coins This app is another receipt scanning app which counts your money as coins. Once you reach 1,000 coins you earn $5 to send to your Paypal or Amazon account. The more receipts you scan the more coins you get. Another route I took to start getting paid from my blog was to write product reviews. Thanks to Tomoson I was able to connect with some wonderful companies to review some great new products. I'm also working on paid posts this month. Check out one of my reviews here.